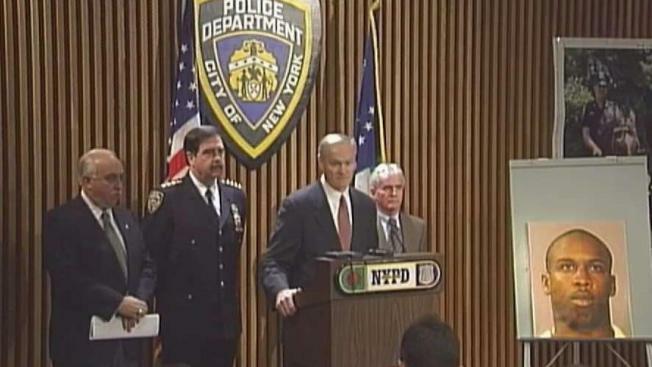 A man was arrested in Florida in connection with the 1999 shooting death of an off-duty NYPD officer. A man wanted in the 1999 shooting of an off-duty New York Police Department officer who later died from his injuries was arrested in Florida almost two decades after the incident, and the head of the NYPD on Sunday offered his thanks to fellow law enforcement for their perseverance. Local television stations in Jacksonville, Florida, reported Lester Pearson, 43, was taken into custody Friday morning in connection to the death of officer Vincent Ling. Commissioner James O'Neill tweeted his appreciation Sunday for Jacksonville police and U.S. marshals in the arrest of Lester Pearson. "Law enforcement professionals demonstrate time & again that we are patient & that our collaborative forces have a very long reach," he said. It was not clear if Pearson had a lawyer who could comment on his behalf. Messages were sent to the Jacksonville prosecutors' office, and an email was also sent to the Bronx District Attorney's office. The NYPD did not describe the circumstances of the shooting but, according to a New York Post account at the time, the December 1999 conflict in the Bronx started when the two men ran into each other on the street and an argument ensued. They were connected through the officer's sister. Ling, 27 years old at the time and an undercover officer, was shot in the chest and had a bullet between two vertebrae. He died some time later.